Piczle Lines DX is a 2017 puzzle game from Score Studios and published by Rainy Frog. This edition, as the title suggests, brings 500 more Piczle puzzles to fans. There are two main elements to a good puzzle game. Firstly, it needs a simple premise; something that’s easy to pick up. But it also needs to be fun and addictive enough to keep you hooked. Thankfully, Piczle Lines DX delivers on both. Piczle Lines DX feels a little like Picross with a twist of Sudoku. Each puzzle presents a grid of blank squares littered with several numbers. Each number has a matching twin, and it’s your goal to connect these. The catch is that the line must be exactly as long as the numbers. So, a pair of threes must be connected with a line that’s three pixels long. Simple concept? Check. There are a few factors that add to the challenge. For one, the numbers also have to be the same color. When there are several green fours in close proximity, for example, you’ll have to work out which pairs go together. This is where the addictive part kicks in, creating a fun game of trial and error, counting and drawing. When all the numbers are connected, and all the lines are drawn, a pixelated picture is revealed, à la Picross. There are a LOT of puzzles here – 500, to be exact. 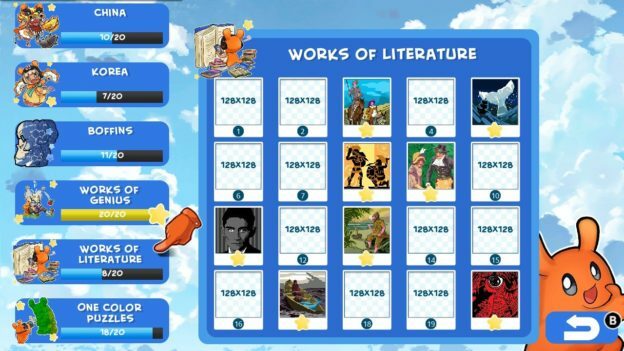 The puzzles are split into categories of 20 each, including topics like school subjects, sports, and mythological creatures. There’s also a more challenging one-color set, making it harder to break the number pairs into smaller groups. In short, there’s plenty to keep you occupied. 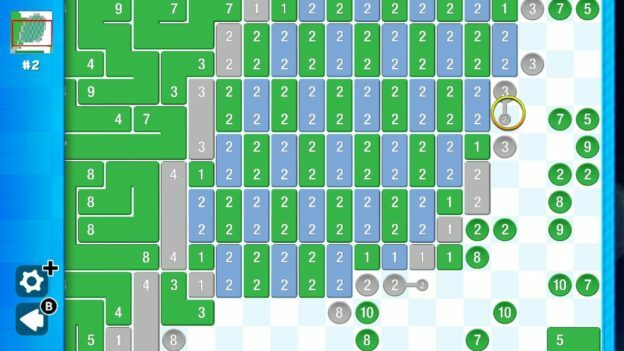 The puzzles vary in size too, ranging from 16×16 grids right up to a whopping 128×128. The larger the grid, the more room there is for higher numbers and longer lines. When you have three pixels to fill, there are only so many paths you can take; a line 21 pixels long could take numerous paths, and you have to find the correct one. This challenge is enough to keep you on your toes without being super difficult, as you work through each pair to find the next one that you need to connect based on the available space. This logical approach is reminiscent of the thinking behind Sudoku. There are two ways to play, including touch screen controls. I found myself preferring this method, despite good traditional controls. I also couldn’t help but think it would be slightly better with a stylus, maybe because I’m used to Picross games on my 3DS. Overall, I had no issues with the controls. The graphics are simple, with bright colors and sharp lines that are easy on the eye for long sessions. It’s also worth mentioning the colorblind mode – I love little touches like this, it shows dedication from the developers at making a great experience for all gamers. Piczle Lines is great for playing just about anywhere, either dipping in and out during the day or curling up on a rainy day and calmly working your way through. 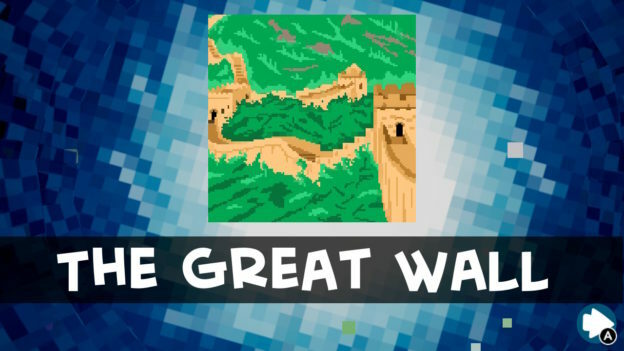 The soundtrack matches perfectly, a simple background tune with a relaxing beat – not too fast, not too slow. 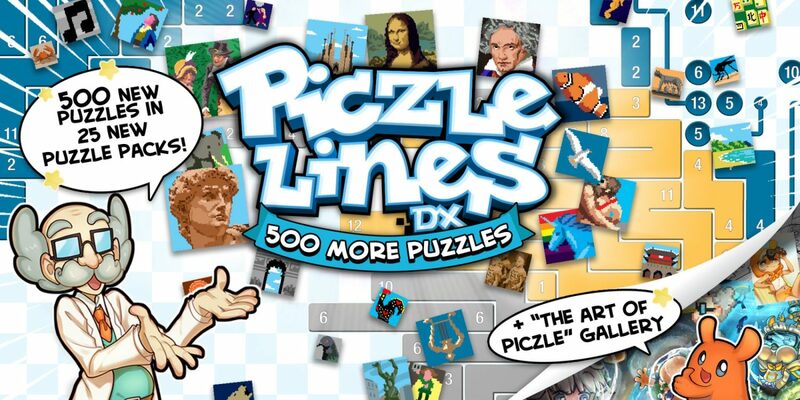 Overall, Piczle Lines DX 500 More Puzzles is a simple and fun game that offers plenty of content to keep fans entertained for hours. The sheer number of puzzles alone makes it worthwhile, with a deep yet relaxing puzzle experience on offer. It’s also worth noting that you don’t need the original game to play this standalone version. Check it out. Piczle Lines DX is a simple and fun game that provides fan with a deep yet relaxing puzzle experience. With over 500 puzzles on offer, there’s hours of entertainment here.